I am 28 going on 29. Ideally, I should have started a regular CTM routine (Cleansing-Toning-Moisturizing) five years back. Did I do it though? NO. I have only my extremely lazy persona to blame for it :P All I do everyday before hitting bed is squeeze some random facewash on my palms, wash my face with it and slather on some moisturizer before snoozing off. And on days when I have makeup on my face, I splash my face with water, massage coconut oil and wipe the makeup off with a wet cottonwool and then follow with the face wash and cream ritual. My skin survived inspite of this minimal “care” because of the good skin gene I inherited from my mother. But obviously, since I am fast approaching 30s, I just had no excuse left to further delay CTM. Thus, I ended by buying a few stuff (Cleansers, toner, serum and eye cream) from Biotique and have been following a regular CTM since ten days. I am ready now to give my two cents on the two cleansers I picked up from this brand. 1. Bio Pineapple: Pineapple is the queen of tropic fruit, overflowing with natural elements and nutrients. This fresh foaming, 100% soap-free cleansing gel is blended with extracts of pineapple, neem leaves and clove oil to dissolve makeup, purge pores and purify the complexion. 2. Bio Berberry: Berberry is an ancient and honored herb with a rich history of healing and purifying properties. This refreshing non-foaming lotion is blended with Berberry, Fenugreek, Lodhra bark and almond oil to dissolve makeup and grime. Leaves skin feeling soft and smooth. 1. Bio Pineapple: Gently massage over wet face and neck with fingertips, lather and rinse. 2. 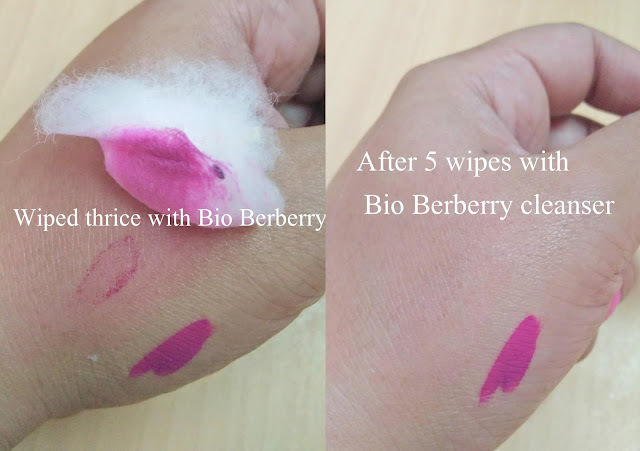 Bio Berberry: Apply to cotton pads or washcloth and gently wipe over face and neck. 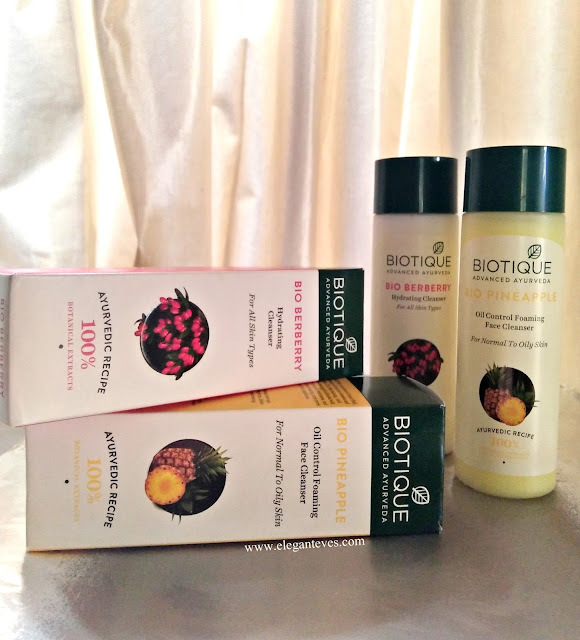 Packaging: Both products come in the typical Biotique packaging, a cylindrical plastic bottle with a dark green cap inside a paper carton box. Although the screw caps shut quite well, I find round cylindrical shaped bottles a hassle to carry when travelling since they take up space. They are quite ok for regular use in homes though. 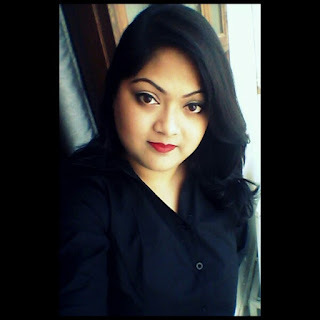 My Take: My skin is otherwise problem-free except some hyper pigmentation around my mouth. It is Normal-dry in nature. I wanted a mild lotion based cleanser for regular night time CTM and a foaming facewash for the times I would removing makeup on my face with coconut and then finish off with a foaming cleanser. 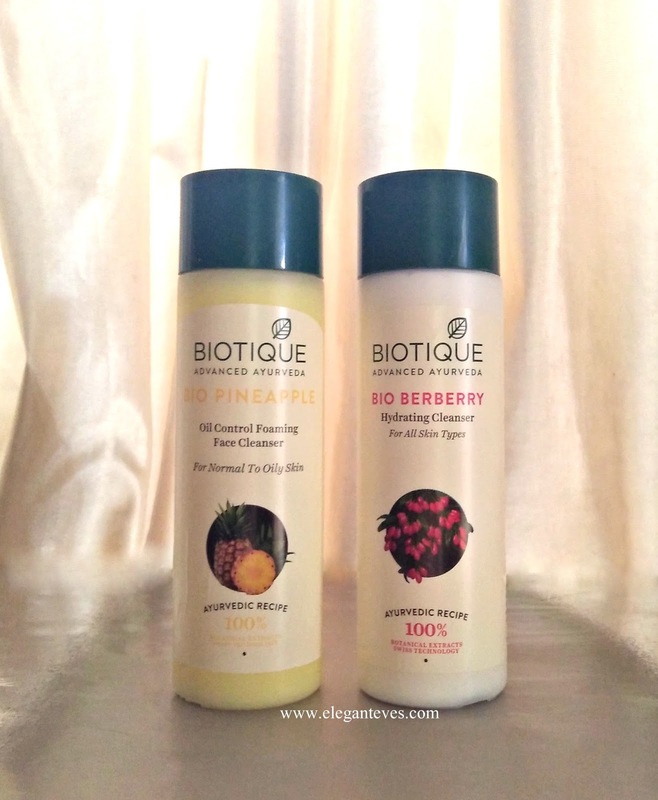 These two seemed perfect picks: Bio Berberry for regular night time skin cleansing and Bio Pineapple for makeup days and for times I have just returned from outdoors and need a quick face-washing. Color: The Bio Pineapple is a sunshine yellow colored liquid while Bio Berberry is a opaque white liquid. 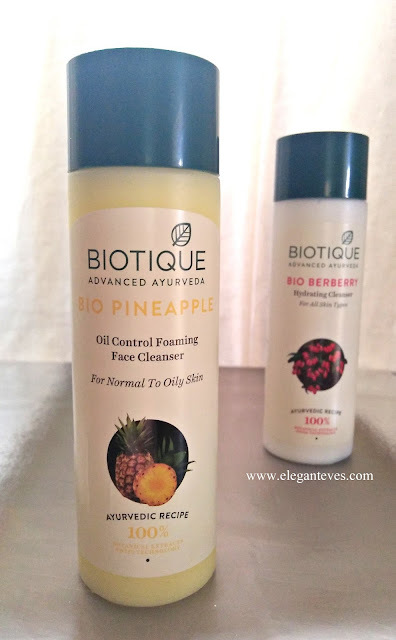 A tiny drop of Bio Pineapple is required to lather entire face and a slightly larger amount is required with the Bio Berberry (Also, I massage my wet face with Bio Berberry cleanser and then wipe off with wet cotton unlike as instructed. I feel cleansing lotions works much better that way). 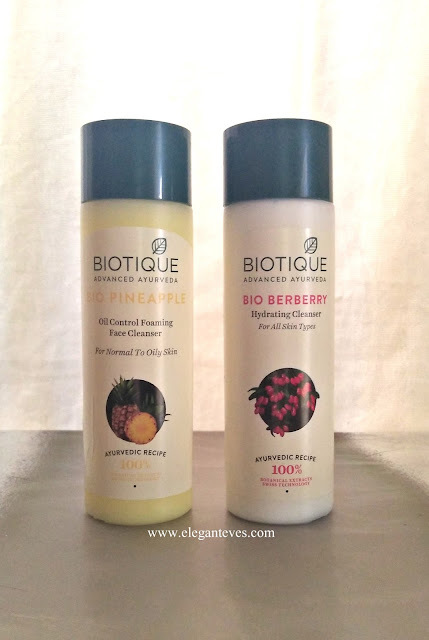 Fragrance: Both cleansers have a refreshing fragrance: Bio Pineapple smells fruity and Berberry smells exactly like crushed leaves of lemon plant (We used to have a lemon tree in our backyard and granny used to crush the leaves to make a refreshing tamarind-jaggery-lemon leaves drink. It smells exactly like that). No strong chemical smell in either. One beautiful thing about both these cleansers that I absolutely love is that they do not dry out the skin at all. 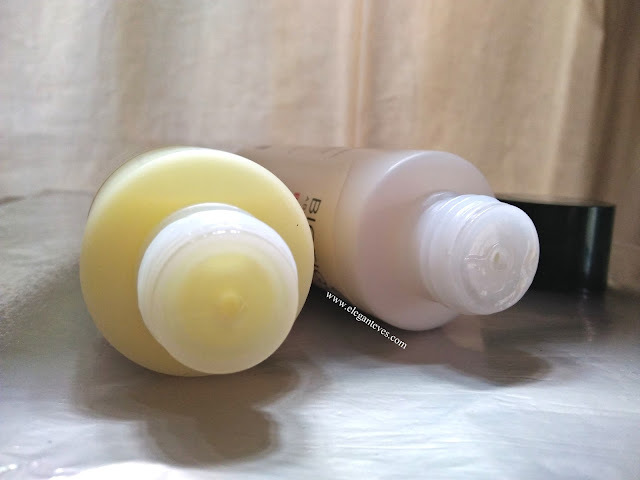 Skin doesn’t feel stretchy or lacking moisture after using these two. The cleansers are very mild yet leaves the skin squeaky clean. Makeup Removal test: Now although I rarely use any commercial cleansers for makeup removal, I decided to try these two out. I chose the utter transfer-proof lip color “Wine and Shine” by Sugar cosmetics (review to be up soon) which refuses to budge once set. I poured a drop of Berberry on a wet cotton and rubbed a dried swatch of the lip color. After rubbing for 5-6 times, the color came off. 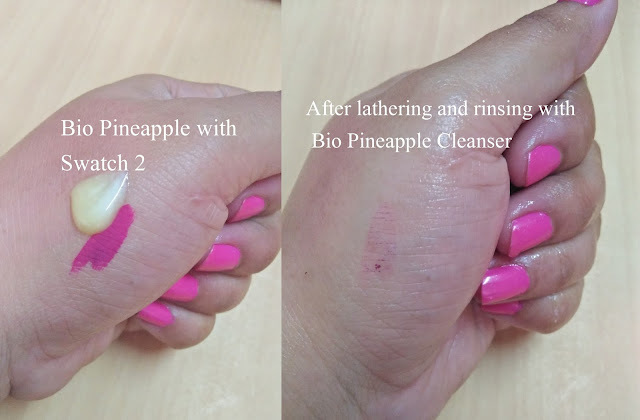 Next, I poured a drop of Bio Pineapple on another dried swatch of the lip color and tried lathering and washing off the color residue. Although most of the color came off, you can see some deposits in the lines of the wrist. So, my verdict is, for extremely pigmented waterproof makeup, it is better to use any oil or makeup remover first and then clean-up the “second” batch of residue with these cleansers. Personally, I am not at all disappointed with this aspect since I only use coconut oil for makeup removal. 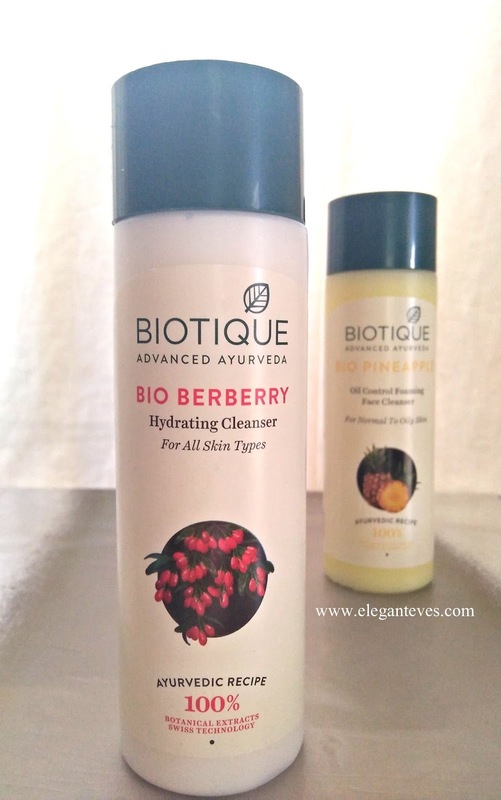 Overall, I am very pleased with these mild and skin-soothing cleansers and would definitely repurchase them. The Bio-Berry is suiting my mother’s dry skin as well. I would come back with a detailed review of the next product in line of the CTM routine, that is, a toner J Stay tuned!